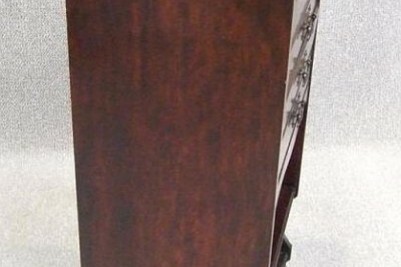 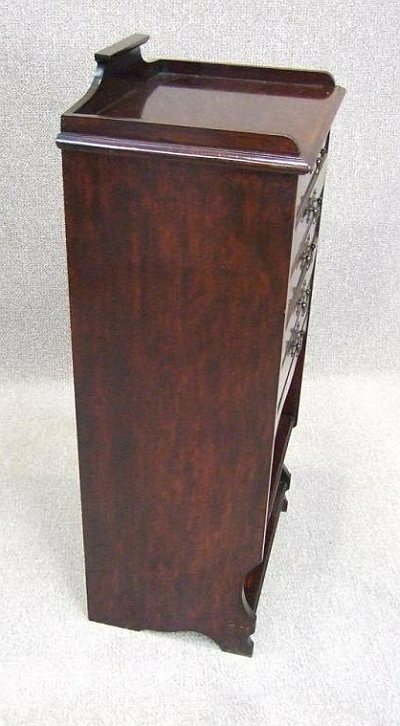 A fine example of an Art Nouveau walnut music cabinet. 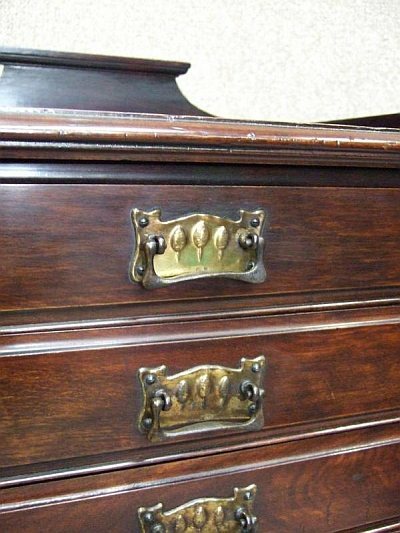 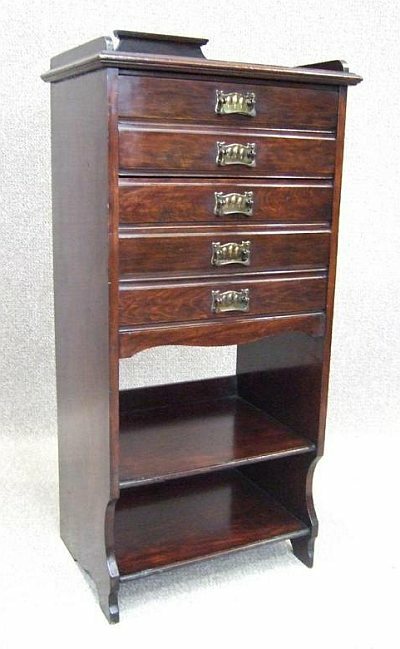 Featuring a small up-stand to top, five fold down drawers; all fitted with original art nouveau handles, and two shelves to base. 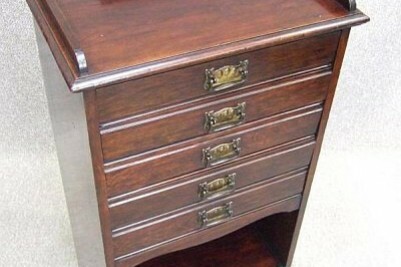 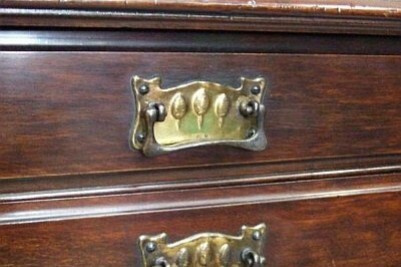 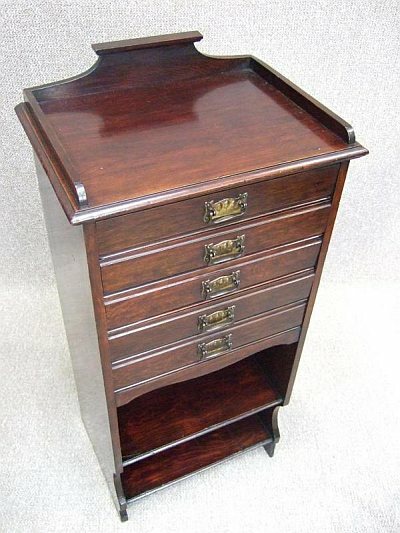 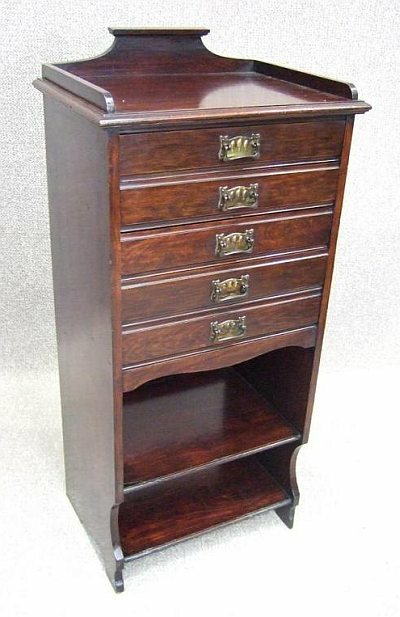 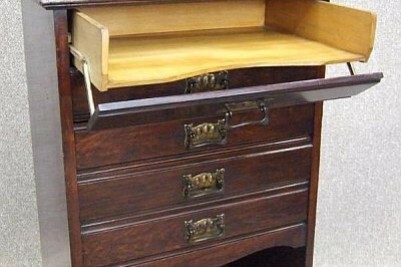 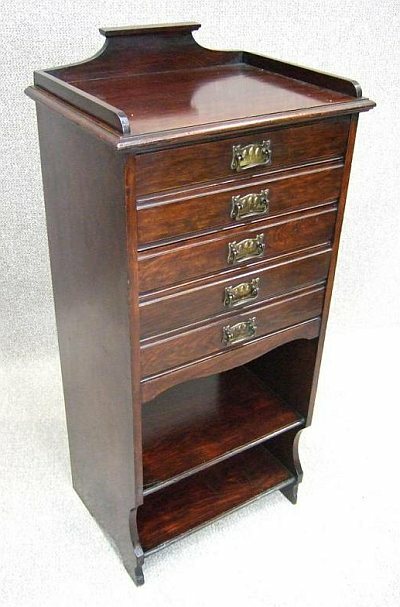 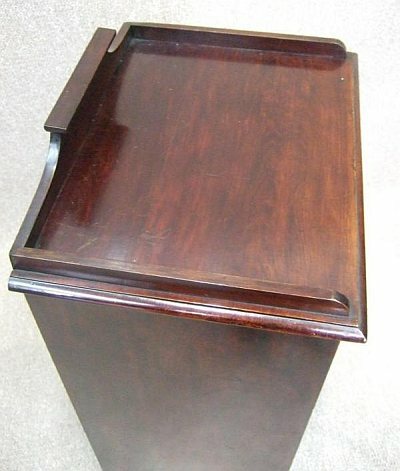 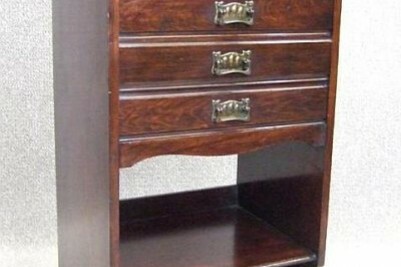 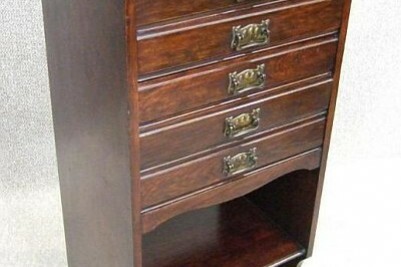 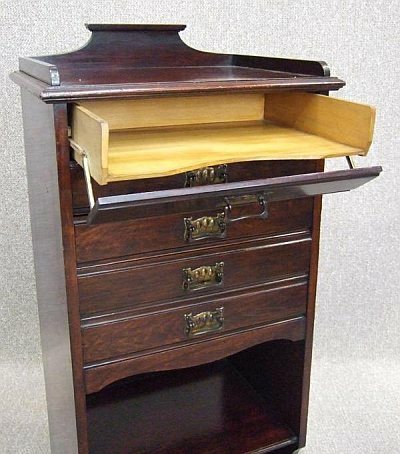 Ideal for sheet music, or as a small set of filing drawers for any home office. 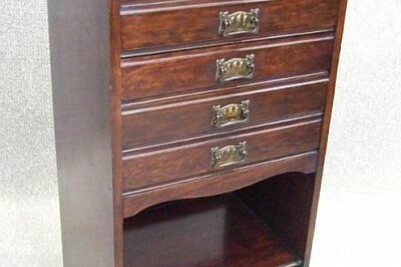 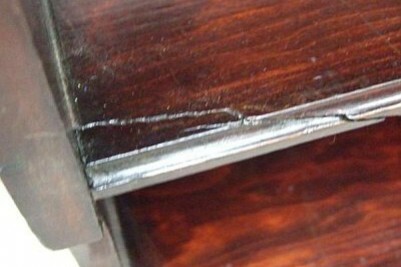 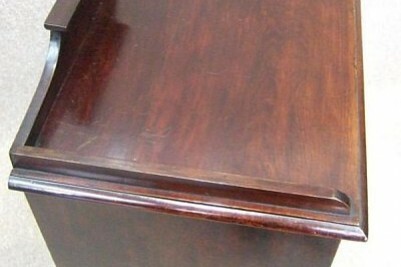 The item is in lovely condition for its age, with no sign of woodworm. 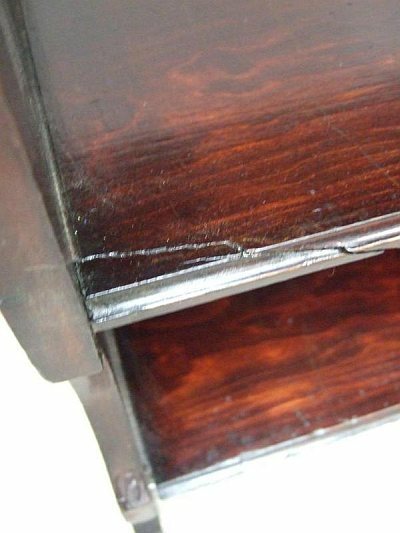 It has had a small break to the lower shelf which has been photographed; but it is still in excellent condition for a piece dating circa 1900.